The start of the election campaign of Colombia’s demobilized FARC guerrillas is severely complicated by violent attacks and pending US charges, the Marxists said Wednesday. According to Julian Gallo, one of the FARC’s political leaders, the former rebels hope to obtain more congressional seats than the 10 that were guaranteed by a 2016 peace deal. The challenge for the former guerrillas is to get their message out amid attacks and threats, and the FARC the United States has failed to lift political leaders’ designation as drug traffickers. The FARC’s campaign office in the western city of Quibdo was attacked and plundered on Wednesday, days after campaign workers in Bogota and Cali received death threats. Gallo said that there have been 49 violent incidents and confirmed UN warnings that at least 36 FARC members have been assassinated during the peace process. At least 3,000 members of the Patriotic Union were assassinated between 1985 and 1995. Far-right paramilitary groups and extremist elements within the state targeted the socialist party formed with the FARC . Within years of the demobilization of paramilitary umbrella organization AUC in 2006, more than 2,000 demobilized fighters “died.” The mass killing escalated the rearmament of paramilitary groups. According to Gallo, the FARC is also running into logistical issues due to the organization’s past involvement in drug trafficking. 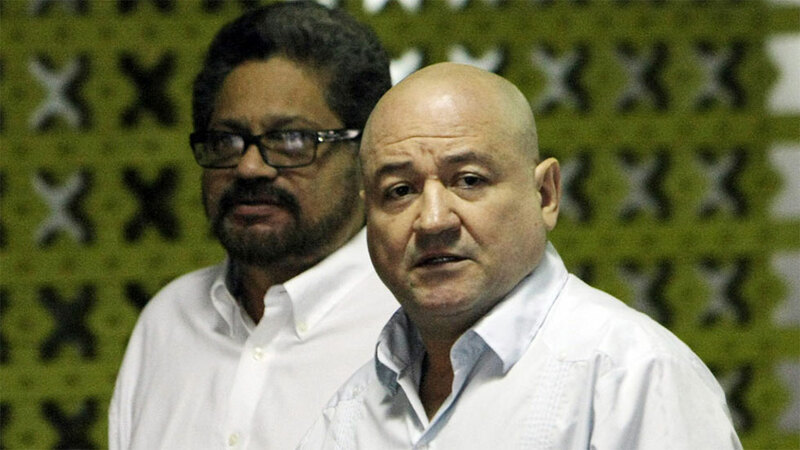 The political party could not open a bank account until Tuesday because of the United States’ Kingpin List, the FARC leader said. Banks could be banned from the US for doing business with the group that controlled much of the country’s coca fields until mid 2016. The United Nations verified the former guerrillas’ demobilization last year, but the US government has yet to remove the group from its list of drug traffickers. “For the moment we work with loans,” said Gallo. The FARC leader said that the political party will present its 10-point political program on Saturday.